GOP Pushing Gun Grab In Pa.
GOP Pushing Gun Grab In Pa. — Virtue-Signaling Philly Suburban Republicans — Delco’s Tom Killion (R-9) in the Senate and Montco’s Todd Stephens (R-151) — have introduced bills that would arguably allow permanent loss of gun rights on the basis of mere allegations. The bills SB 90 and HB 1075 would amend Titles 18 (Crimes and Offenses) and 42 (Judiciary and Judicial Procedure) of the Pennsylvania Consolidated Statutes creating the category of Extreme Risk Protection Orders (ERPO). 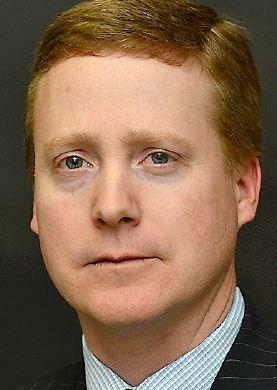 An ERPO would be a court order that would prohibit a person from having in the person’s possession or control, purchasing or receiving or attempting to purchase or receive, a firearm, based upon a finding that the person presents a risk of suicide or of causing the death of, or serious bodily injury to, another person. Fine. So how does one get subject to such a thing? Upon the word of a law enforcement officer or a family or household member. They tell a district judge that you considered suicide or were cruel to a dog or made a threat and you lose your rights, whether you did such a thing or not. You really think a district judge is going to say no? There is a duration limit to the ERPO — from three months to a year — but as Joshua Prince points out the ERPO puts you in a federal database and that makes you subject to the feds which is in effect a life-long ban. Here’s is the wording of the law: Entry into database.–Upon receipt of an extreme risk protection order or an order renewing, vacating or terminating an extreme risk protection order, the Pennsylvania State Police shall cause the order to be entered into the appropriate database so that notice of the order is provided through the Pennsylvania Instant Check System and the Federal Bureau of Investigation National Instant Criminal Background Check System. How about the termination part? So much for presumption of innocence. We have some sympathy — or at least we would if we didn’t think they were pandering virtue-signalers — for those trying to deal with loons having access to guns. We remember Sylvia Seegrist. We remember her mom desperately trying to get her help — and off the street. The thing with Sylvia, though, is that she committed chargeable crimes such as assault, terroristic threats and vandalism before her murder spree but escaped prosecution due to the bizarre mental health theories of the time. If ERPOs were based on the commission of crime for which one is charged as opposed to someone’s word, we’d back the concept. By the way, most of the recent mass shooters could have been or had been charged with crimes before their killings that should have curtailed their access to guns. Nickolas Cruz had had numerous contacts with police, Devin Patrick Kelley had a record of domestic violence, Dylan Roof had drug and trespassing arrests etc. Another point, gun rights are as important as voting rights. Some people should not be allowed to have a gun. These same people should not be allowed to vote. Author BillLawrencePosted on April 16, 2019 April 17, 2019 Categories Guns, Pennsylvania Legislation4 Comments on GOP Pushing Gun Grab In Pa.
Mass Shootings Thoughts and Prayers — The wishing of “thoughts and prayers” after mass shootings is being mocked in some circles as simplistic to the point of being meaningless. We have come to agree. In the 1980s, most states made it difficult for a private citizen to carry a hand gun. Gun rights activist made it an issue and today it is relatively easy to do so. The murder rate has been halved and sometimes in dramatic fashion. This is what the activists predicted while their opponents loudly claimed things would get much worse. So now we have the issue of mass shootings which have become a several-times a year occurrence. Those who desire to disarm the sane and law-abiding cynically use them to advance their political cause. We, however, think it is far more about culture than it is about having access to immaterial objects. We have written several times about how school shootings started after abortion was declared a right. Correlation is not causation but correlations are something worth pointing out, and this correlation makes sense. Teach that it is up to the individual to determine whether a human life exists, and, well, who is to judge if an individual chooses in a way other than you would? How about the manner in which our society addresses the most important philosophical question: Why are we here? We teach our young that our existence is but due to a mere sequence of random events. Our courts, in fact, forbid teaching that we are designed, despite the quite reasonable inference of it being so. Imagine someone being on a moral fence and being inculcated by society that he is but an accident of nature and he should “do as thy will”. Now, imagine that someone being inculcated that he was created to love his neighbor. Which message is most likely to send him to the good side of the fence? We grant that even the right cultural message isn’t going to completely solve the problem. Limiting access to guns (and knives and cars) for those with objective psychological problems is important. Maybe this requires bringing back mental institutions. Still, the Vegas and synagogue murderers would have passed the filter for sanity. The wise realize that perfect safety is a chimera, and that is why the sane and law-abiding need access to guns. Sane Law Abiding Citizens Need Guns — Why do sane law aiding citizens need guns? Sometimes the sane, law abiding citizen is in danger and he has only seconds but the deputy is four minutes away. That is why sane, law abiding citizens need guns. The let-government-have-a-monopoly-on-everything crowd never lets a crisis go to waste. Please keep the reality in mind and not the fiction being presented as news by the globalist-connected media. This is not about safety or protecting children. It’s about self-proclaimed elites controlling the lives of others not in their clique. You have to rely on yourself and not the government to keep you and those you love safe. That deputy is only human so please don’t hate him. Remember, though, government is made up entirely of humans and should be trusted only as much as you’d trust another human you barely know. 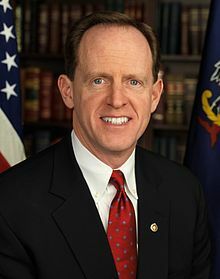 Gun Rights Equal Voting Rights, Sen. Toomey — With the election safely over and a another six-year term guaranteed, Sen. Pat Toomey has returned to gun grabbing. OK, let’s be charitable. Maybe he really just wants to stop senseless killings and not take from average citizens the constitutional right to the means to defend themselves from cruel aggressors which is what politicians usually mean when they talk about “sensible” gun regulations. So here is our suggestion for Sen. Toomey, a litmus test if you will, for his “common sense” gun safety legislation: Equate gun rights with voting rights. This means put in your bill that the criminals and mentally ill who should not be allowed to own guns should not be allowed to vote. Handguns Stop Murders Proof — This article ran originally in 2015 but with the Democrats filling Philadelphia with shrieks for gun bans it is worth running again. By the way, Philadelphia’s murder rate is way, way down since the city was forced to allow law-abiding citizens to carry concealed handguns. In the days of old when knights were bold murder was pretty common. In 13th century Europe, the rate was 22.68 per 100,000 rising to 40.79 per 100,000 by the 15th century. It was as though every place in Europe was Chester, Pa. Well, maybe not that bad. Figure Detroit or New Orleans. But then something happened. In the 16th century the rate tumbled back to 20.28 per 100,000. Carlisle Moody of the College of William & Mary says that the year the trend changed was 1505 and what happened was the handgun, namely the wheel lock pistol which by that year had become common enough to make a social impact. The pistol put the little guy (and gal) on a equal footing with the big, strong, armor-plated club/knife/ax wielding thug. Moody says the likely inventor of this device was Leonardo Da Vinci which would make Leonardo the father of the handgun. Thank you Leonardo. Still handguns didn’t disappear and the trend continued. In the 17th century the murder rate dropped big to 7.84 per 100,000. Moody says the big year was 1621 when the flintlock — which became the standard firearm for the next two centuries — entered general use. Moody notes the cost of firearms was rarely prohibitive for the masses. 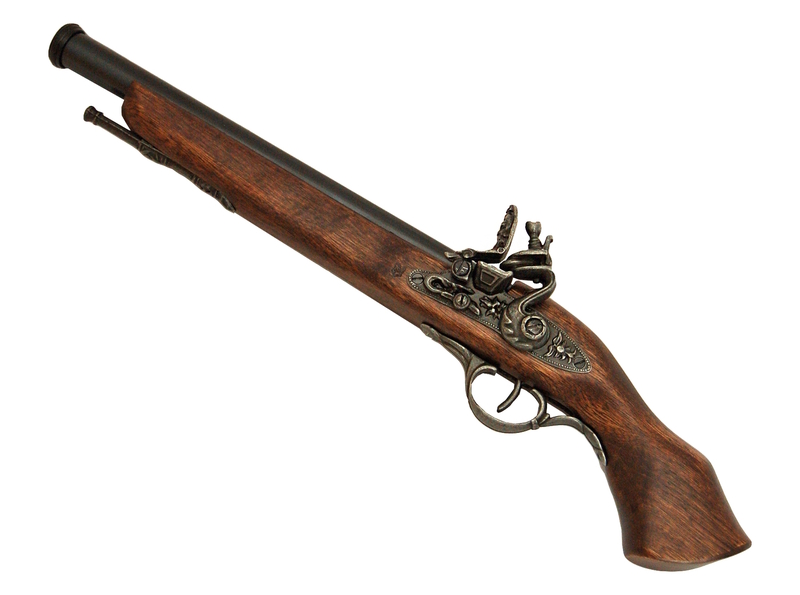 In 1699, a pair of pistols cost 5 shillings or about $41 in today’s dollars. The European murder rate continued to fall reaching 1.18 per 100,000 by the 20th century. In Britain, by 1920 it had fallen to .84 per 100,000. That was the year The Firearms Act was passed essentially ending the English right to bear arms. Since then the British murder rate has risen to 1.44 (as of 1999) and the assault rate has exploded from 2.39 per 100,000 to 419.29. Some other tidbits: Moody says London had a homicide rate of .26 per 100,000 in the 1820s before the first world’s first police force was created in 1829. It now has a rate of 2.28 per 100,000. Carlisle Moody notes that three out of every four murder victims before 1850 would have survived with today’s medicine. He says, however, even dividing by four would not affect the pattern regarding the previous century murder rates. Moody’s paper can be found here. The math is there to back up his claims to other academics and doesn’t have to be followed to get his point. Hat tip James Delingpole of Breitbart.com. Carlisle Moody is a member of the Economics Department at the College of William and Mary in Williamsburg, Va.
Carlisle Moody’s paper is titled Firearms and the Decline of Violence in Europe: 1200-2010. It’s not exactly taking a shot in the dark to predict that the sniping over President Obama’s executive orders on guns will intensify. As the elections draw near, both sides will aim to put the issue directly in their sights and blast away at those who disagree. But like most important issues, there’s too much rapid-fire rhetoric and not enough common sense, which serves only to move the debate off-target. If the politicians truly care about reducing violence, both sides would holster their weapons and keep their powder dry, and instead hone in on the real problems with sharpshooter precision. • Policy: The president, stating he was fed up with a Republican Congress that he saw as doing nothing to tackle gun violence, announced executive orders to increase the scope of background checks for prospective gun buyers, including sales conducted online and at gun shows. Anyone selling firearms would be required to obtain a federal license, and the loophole allowing individuals to buy weapons through a trust or corporation without a background check would be closed. The GOP, predictably, has been shooting from the hip about how such measures violate Second Amendment freedoms. How does requiring a criminal background check using the FBI’s database in any way violate one’s rights? Put another way, do these people really believe we shouldn’t have background checks at all? Talk about firing blanks. Contrary to claims by conspiracy theorists, background checks are not federal gun registries. Neither do they lead to them. For those who believe that expanding background checks will lead to gun registries, where have they been for the last decade? Background checks aren’t new, so, by definition, if we are simply expanding and modernizing an existing system, then under the critics’ rationale, wouldn’t we already have such a registry? They can’t have it both ways. Background checks are not a conservative/liberal, Republican/Democrat issue. And since they do not infringe upon a law-abiding citizen’s right to own a firearm, it’s not “gun control.” It’s criminal control. Undeniably, such checks work. There have been 1.8 million denials since 1998. In 2010, half of those denied had felony convictions or indictments, almost 20 percent were fugitives, and 11 percent had violated state laws. To allow convicted felons or the mentally ill to buy a gun with quasi-legal impunity is crazy, since savvy criminals will choose the no-background-check loophole rather than risk getting caught in an undercover sting. It’s a no-brainer. But while background checks are useful, they are not a panacea. The FBI database is only as good as the information it receives from states. If criminal and mental health records aren’t routinely sent and/or updated, it won’t be as effective, which is why the administration is boosting its efforts to have states increase their records reporting. It’s also why the president is mandating the FBI upgrade its NICS database system, and providing for additional manpower to staff it. That modernization will greatly reduce the number of gun applicants who, by law, are permitted to take possession of a gun if their background check isn’t completed within three days. Background checks certainly aren’t perfect, but that’s not a reason to opposes expanding them. Nothing will ever fully prevent lunatics from engaging in a shooting spree, but a background check system is a solid first line of defense. Political: While idiocy is not illegal, it would behoove some gun-rights people to get a shot of common sense. For example, don’t show up at a gun rally or counter-protest with AK-47s on full display, as some routinely do. And don’t blame the “liberal media” when they post that shot on the front page. Do you want to look cool by touting guns in public, or do you really care about protecting gun rights? The two never go hand-in-hand. Leave the guns at home, wear something that isn’t camouflage, and articulate a reasonable message with a calm demeanor. You’d be surprised how much more effective you’d be at convincing the Great American Middle – and it is they who will ultimately decide this issue. Take it to the bank, expanding background checks is a winning political issue. • Principle: Here’s the problem: President Obama’s executive orders may well get shot down by the courts faster than a speeding bullet – as they should. The Constitution makes it abundantly clear that presidents are elected to implement laws passed by Congress – not do end-runs around the legislative branch. By no means is that criticism leveled simply at Mr. Obama, since both Republican and Democratic presidents have used executive orders. But wrong is wrong. The GOP would do well to remind itself of that the next time one of its own occupies the Oval Office, as many will undoubtedly shelve their criticism of executive orders when it happens to be on an issue near and dear to them. • Practicality: Whether executive orders or Congress-passed laws, these measures, while valuable, will simply not stop terrorists and mass killers, and to think otherwise is stunningly naïve. From the San Bernardino terror cell to the Sandy Hook shooter, these people have no regard for laws in the first place, and won’t be deterred by gun restrictions or background checks, especially when they know they won’t live to see another sunrise. All too often, they steal and kill in their quest to obtain weapons. The answer to stopping these attacks isn’t rooted in limiting magazine size or types of weapons. It’s finding out what we’ve done that has destroyed empathy in many of our young people and fostered a mentality that killing with abandon is somehow a viable option. There is no single cause for these mass shootings, and it will take a comprehensive effort to stop such tragedies, from increasing efforts to identify and assist the mentally ill to stemming the entitlement mentality of coddled youth. A good start would be would be to stop sniping at each other, and instead keep our eye on the real target – the bad guys. Competitive shooter Dustin Ellermann has a new way to cook bacon. He wraps the rashers around a silencer attached to an M-16 assault rifles, wraps aluminum foil around them and shoots. Bacon, silencer, assault rifle, how politically incorrect can you get? He say it takes about 90 rounds. There are less expensive ways of cooking it Dustin. The Valley Forge Patriots and Citizens for Liberty will have a meeting 7 p.m., tomorrow, March 4, on the topic of Supporting the Second Amendment. Speakers will be Kim Stolfer, chairman of Firearms Owners Against Crime and a Marine combat veteran who served in Vietnam and Joshua Prince of Prince Law Offices & Firearms Industry Consulting Group. Recently, Joshua has sent letters to over 90 municipalities regarding their illegal firearms ordinances, and many have repealed these illegal ordinances because of it. There are a few things I hate more than the NRA. I mean truly. I think they’re pigs. I think they don’t care about human life. I think they are a curse upon the American landscape. So we got that on the record. That said, I’m willing to separate that this story had nothing to do with that. It’s not a gun story. So I would like to think that I would have done it, but I don’t know. Obviously, that was my first experience around killing and guns and hunting. So, we would like to ask Mr. Gumbel, whose fame comes from his descriptions of men playing children’s games, how many NRA members — figure 100 percent armed — commit murder versus non-NRA members with guns? Hmmm? Do you, Mr. Gumbel, have the guts to take on those who really are the ones who “don’t care about human life”? And how do you feel about abortion?